My husband rarely picks things out at the store. Mostly he just walks around pushing the cart and looking at sports news on his phone. 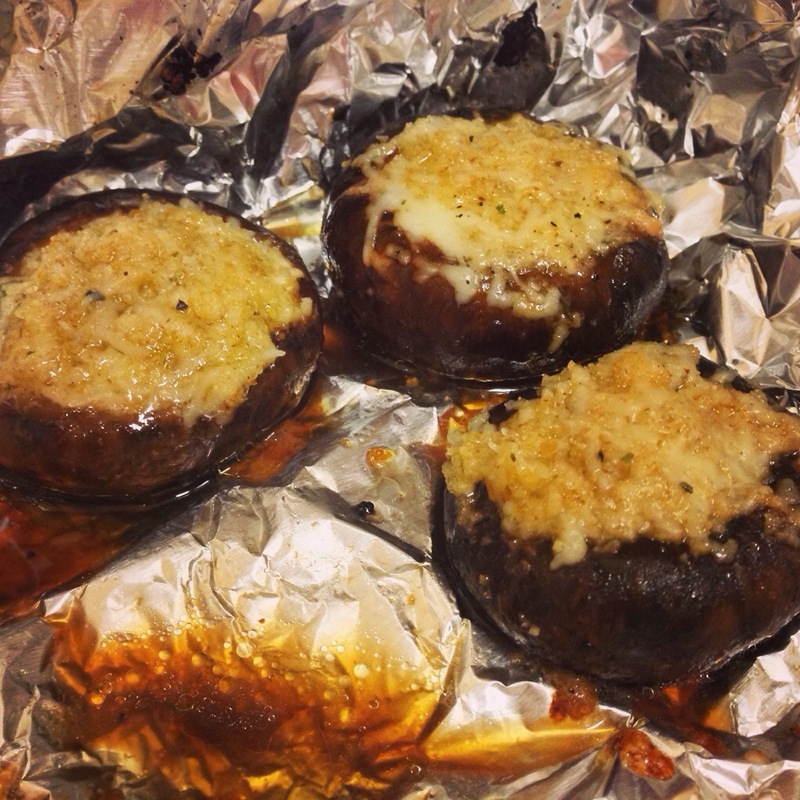 But one day at the store, he reached out for portobellos and said “Let’s get these.” I do not care for mushrooms, but for him I will cook whatever he wants. Especially when he chose something at the grocery store for once in 2 years. I actually ate one of these mushrooms, and it was pretty good. But he should really be the one who writes this post because he absolutely loved them. This recipe was inspired by my current obsession for all things balsamic vinaigrette. Which actually stems from all the amazing fresh strawberries that I am putting on salads lately. The blog has really been all over the place this summer. Mostly because at home I have just been grilling simple things and the rest of the time I am eating the most amazing salads ever (with the leftovers from the grill). You can buy pretty great balsamic vinaigrette from the refrigerated dressing section at the store. But if you have an extra few minutes, you should definitely make your own. Below is the vinaigrette recipe I have been make. Soon I will post a perfected creamy balsamic vinaigrette that will make you want to eat a salad immediately. Whether you like mushrooms or not, this recipe will impress all your friends at your next barbecue. In case you don’t know anything about mushrooms, here is an article about how to select and prepare portobellos. Place all the ingredients in a screw top mason jar (or whatever container you have on hand) and shake until combined. Use a spoon to scrape out the gills of the mushrooms (they can be eaten but will turn everything a murky brown color). 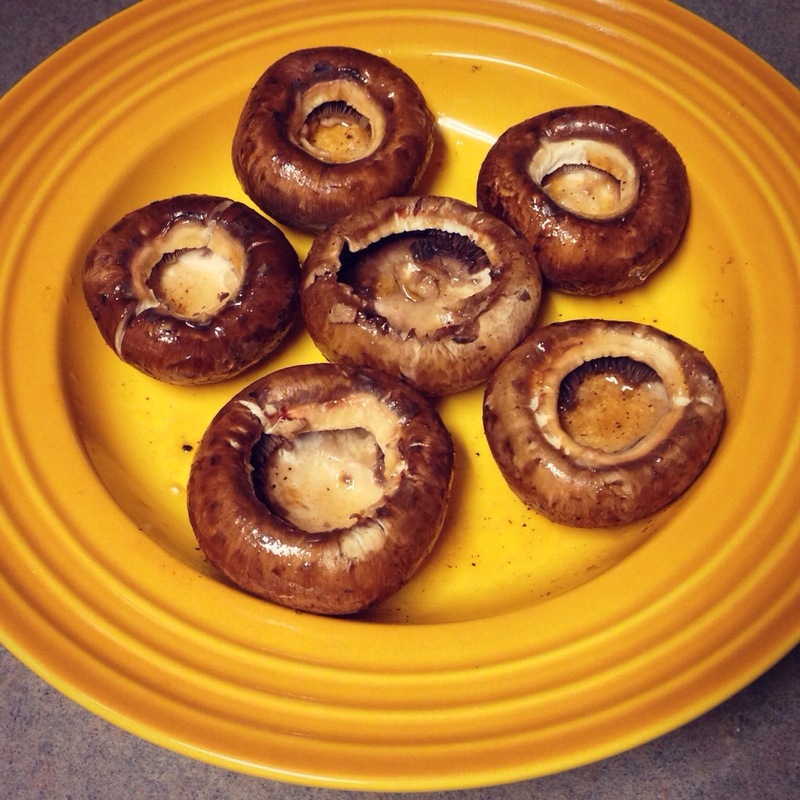 Paint the mushrooms inside and out with vinaigrette. Arrange hollow side up and let marinate at room temperature for 30 minutes. Heat a gas grill to medium heat or prepare a medium heat fire in your charcoal grill. 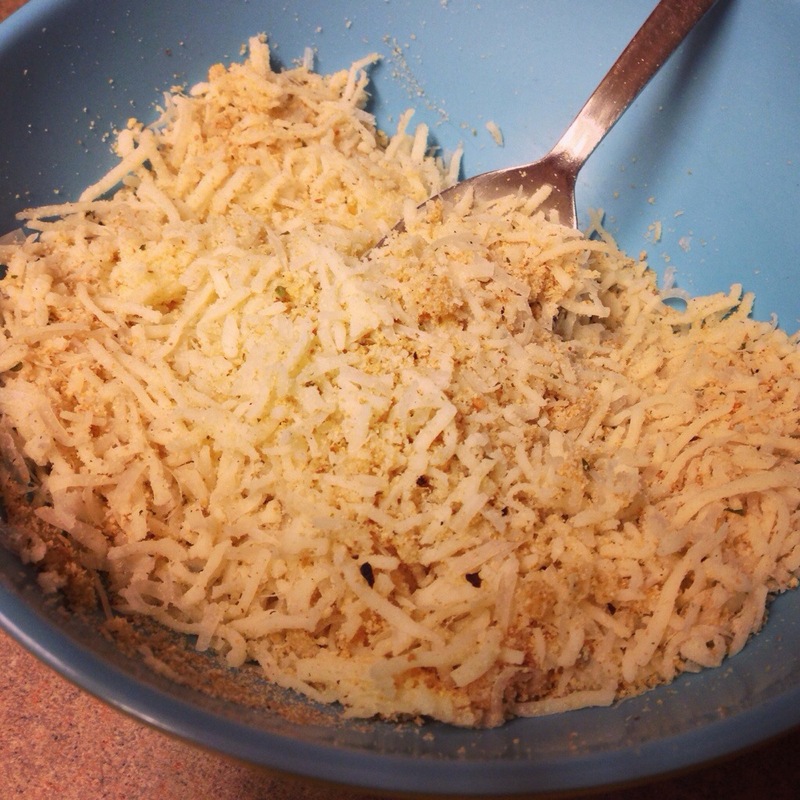 Mix together the panko, mozzarella, parmesan, italian seasoning, chopped garlic cloves. Pour melted butter over the dry mixture and toss together. 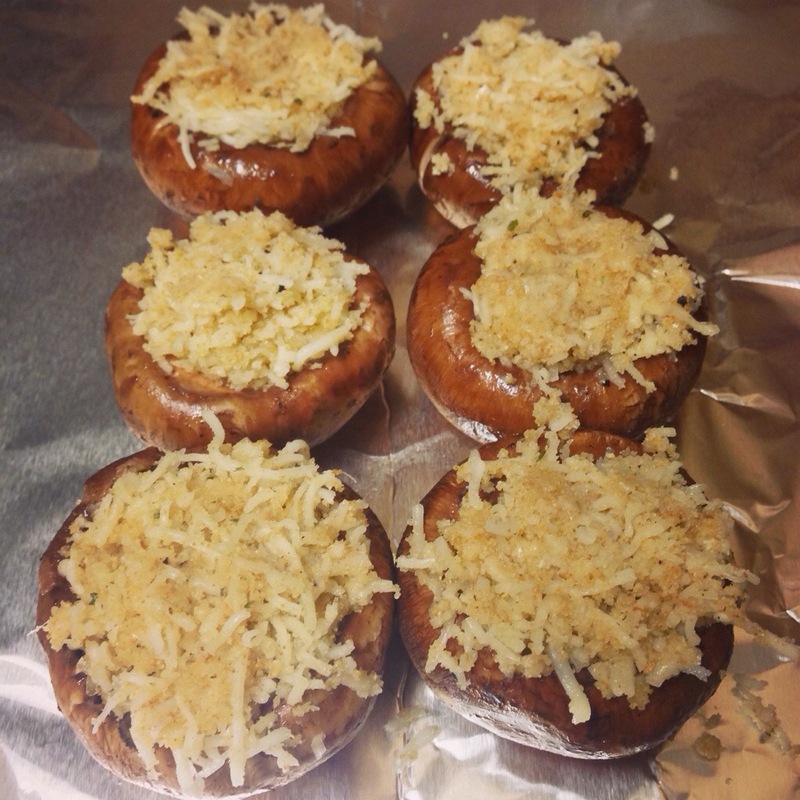 Stuff the mushrooms with the panko mixture. 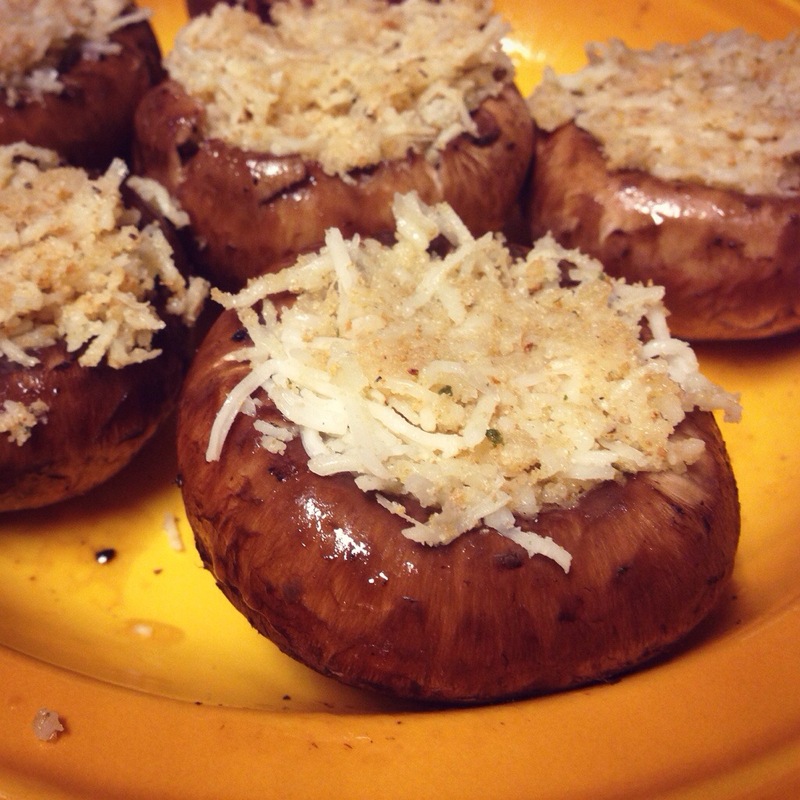 Place mushrooms with the stuffing side up onto the grill. Cook until the cheese is bubbly and melted, about 7 minutes. Shift them around occasionally so that they cook evenly.